Join us at the John Hutson School of Dancing and enjoy the grace and joy of Ballroom Dancing Lessons. Our classes give you the opportunity not only to learn how to dance, but to keep fit, meet other people & enjoy the social nature of learning to dance. Join us at the John Hutson School of Dancing and experience the soul and excitement of Latin American Dancing Lessons. Our classes will give you the opportunity not only to learn how to dance, but to keep fit, meet other people & enjoy the social nature of learning to dance. Private lessons provide the individual attention that some of our students require or desire, and they may also be the perfect choice for those that wish to advance more quickly or achieve a higher standard. If you are looking for a special gift, for a Special Someone, Private Dancing Lessons could be the ultimate answer. Do you have a special occasion coming up such as a wedding? Let us help you prepare for that special ‘First Dance’ for your wedding for the enjoyment of both you and your guests. Let us help you to make your day even more memorable. Our experience at the John Hutson School of Dancing has proved that children love dance and the freedom to express themselves. They especially enjoy working in groups & take pride in their achievements, which may include exams or competitions. Give your child or grandchild the gift of dance, it will be a gift that lasts them a lifetime! At the John Hutson School of Dancing we find that the children thoroughly enjoy working together & learning the movement of Latin American Dance to the upbeat rhythms. Why not give your child or grandchild the gift of dance, it will be a gift that lasts them a lifetime!. Would you like to help your child to advance in dance just that bit faster, or perhaps enhance their confidence just that little bit more? 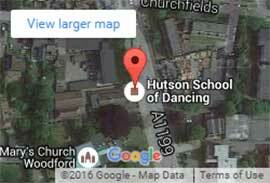 At the John Hutson School of Dancing we can help you with that as we offer Private Dancing Lessons for Children at our school in South Woodford. Click the "Find Out More" link below. Why Not Book A Lesson Today!